Mary Shelley feels like a movie that would be incredibly relevant to the cultural moment we're all living in right now, if only it had a bit more narrative focus. 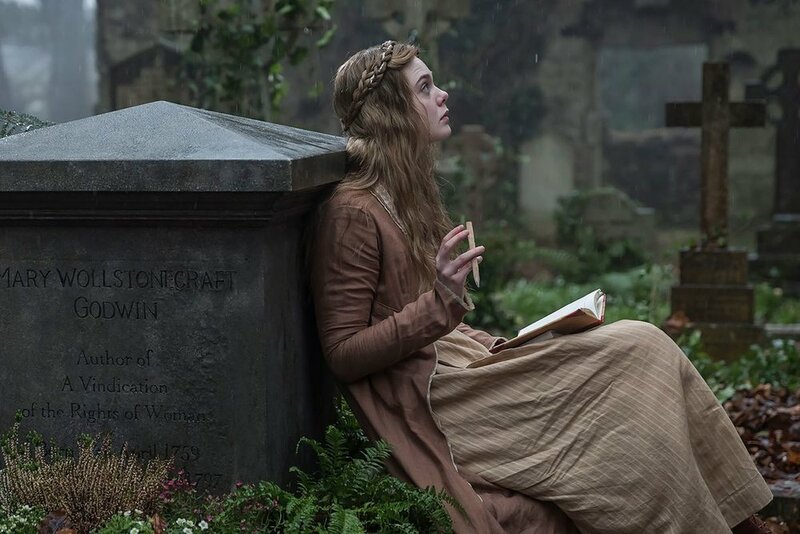 As it stands, Mary Shelley seems unsure of what kind of story it wants to tell, and the end result is a film that tells many different stories at once to the disservice of all. It is unnecessarily beholden to the chronological nature of a traditional biopic, and we are forced to plod through all the stages of Mary's tumultuous but only sporadically engaging relationship with Percy Shelley before we are treated to the main event: the legendary weekend at Lord Byron's Swiss estate where a rainstorm spurred on the ghost story competition that famously inspired Mary Shelley to write Frankenstein. But there's a lot we have to sit through before we get to that point, and not all of it is worthwhile. At a certain point, my fingers itched for a pair of scissors to recut the film so that the stay with Lord Byron served as a framing story. If nothing else, this would force the filmmakers out of a strictly linear mindset and allow them to reassess whether some of the scenes with Mary's family and Percy were essential or for that matter even relevant. Ultimately, Haifaa Al-Mansour (female Saudi Arabian director best known for the celebrated film Wadjda) chooses to spend the majority of the film exploring the relationships between Mary Shelley and her strict but loving father, shrewish stepmother, promiscuous sister, passionate but unreliable husband, and late mother, the last of whom is not present in the film as she died when Mary was a baby but casts a long shadow over the proceedings. But these interactions create a muddled narrative and add to an already bloated run time. 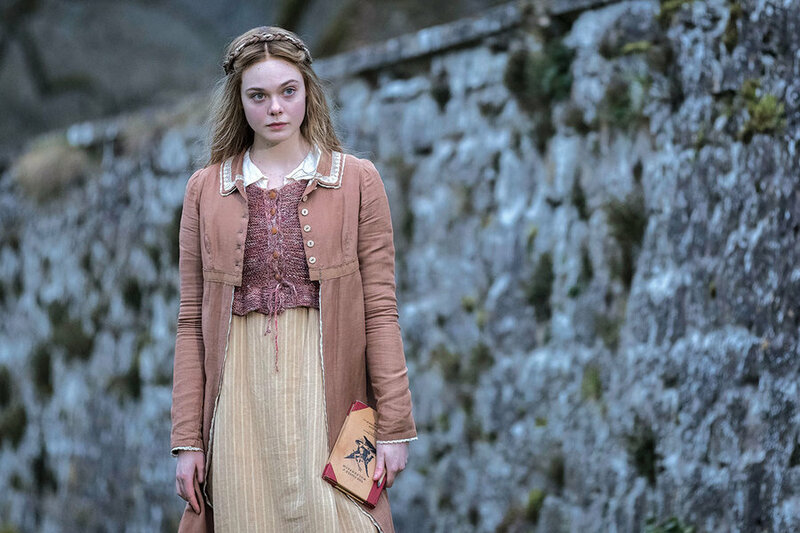 Elle Fanning gamely plays our young heroine, and while she is capable of summoning up moments of wounded vulnerability as people in her life disappoint her or wild-eyed ferocity when her claim to Frankenstein is called into question, she doesn't provide enough natural charisma to save the film from its narrative woes. Maisie Williams of Game of Thrones fame is poorly utilized as well, featured heavily in the trailer but relegated to merely a footnote in the actual film. Douglas Booth plays the unreliable Percy Shelley with charm but not any real depth -- his motivations and emotions are, perhaps by design, kept very surface-level. The real standouts of the piece are Tom Sturridge as the famous/infamous Lord Byron and Ben Hardy as Polidori, who has less to do but makes a strong impact in his few scenes. Overall, the cast is solid but not stellar, which is a shame because there are occasional hints of a good film struggling to get out here. The film shines when it focuses on the process through which Mary Shelley wrote Frankenstein: the atmospheric castle filled with a group of accomplished writers telling ghost stories, Mary getting rejected by publisher after publisher because her novel isn't the sort of thing a young lady would write, etc. The overall journey where the child of two celebrated authors fights to cultivate her own narrative voice is compelling, and there is real emotional weight to Mary's development of a character through which she can channel her feelings of being unloved and abandoned. It is an experience to watch her find an outlet for her pain as a motherless child, a grieving mother, a cast-off wife, and a disenfranchised woman. Her interactions with John Polidori, the melancholic author of The Vampyre whose saw his pioneering work misattributed to Lord Byron and committed suicide in despair at the age of 25, feel poignant and authentic. Had the film a little room to breathe and focus on these types of relationships, it likely would have become an entirely different animal. There is an interesting visual style at play, but one that likely could have been improved if the filmmakers had leaned more heavily into the gothic imagery. As it stands, many of the visuals are fairly straightforward and could have benefited from a bit more atmosphere. One admires what Al-Mansour is attempting to accomplish here, but ultimately the film doesn't seem to be structured properly to have a strong emotional impact.